Japanese Small Somayaki (Double-Walled) Tea pot, 12 oz. 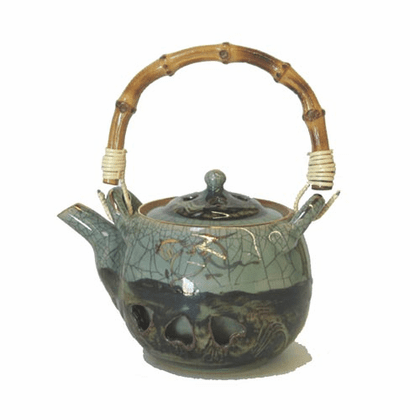 This somayaki teapot is versatile and attractive. It has double wall construction and gold leaf painted horses on its sides. Comes in the classic two tone green color. It is 4-1/2 inches in diameter and 5 inches tall. Holds 12 ounces.